Third oil painting – something out of the comfort zone and a personal piece. I guess you can see this work as a further step of my “Animus, Anima”-work/concept, though in a combined thought. 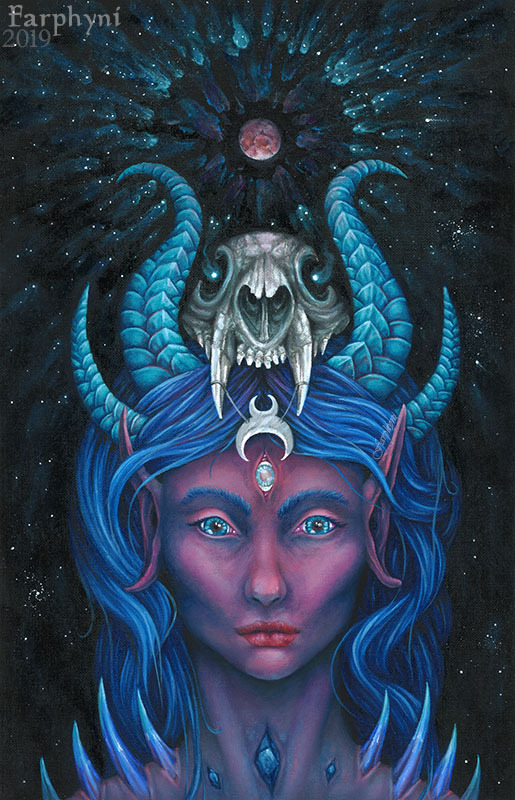 “Die Wandlerin” (=”The Shape”), featured in this work, is a personal entity, that takes the concept of the Refuge of the Mind to another level, in the means of duality, balance and harmony. Invisible, that lurks deep in the depths of the subconscious, is made visible for a glimpse and revealed a unison between the contrary.